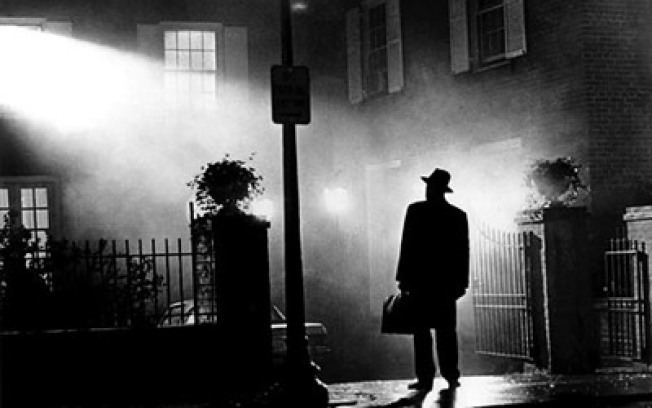 The Exorcist plays as part of Lincoln Center’s Problem Child: A Cinematic Display of Bad Behavior film series tonight. PEA SOUP: This weekend, Lincoln Center's Problem Child: A Cinematic Display of Bad Behavior film series spotlights the creepiest, most intense examples of the little-Johnny-might-be-evil genre. Tonight's pick is William Friedkin's The Exorcist, with a brand new 35mm print that'll make your head spin. 9:20PM. HEY RICKY: Prepare to shake off that leftover turkey coma: Hip hop icon and recent David Patterson pardonee (for immigration issues) Slick Rick will bring new material and classics, plus lots of his crazy-heavy vibes, to the Highline Ballroom tonight. 9PM. BOLLY HIGH: DJ Rekha brings a smorgasbord of exotic, mindbending sounds sucked from the lush world of Bollywood soundtracks to The Vault at Element club. Dancing shoes not at all optional. 11PM.